This system has already received many awards and found international acceptance as the next phase of room comfort and efficiencies. The concept of the aquatherm black system is for the comfort of an occupied area: thermally well-balanced zones are created. 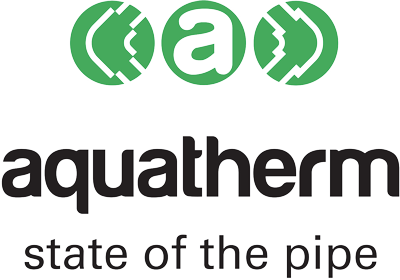 The principle of the aquatherm black system technology is gentle­­ radiant heat from large surfaces delivering comfort and warmth to the occupants of a room. Since the heating surfaces are relatively large the surface temperature can be kept low reducing air movement. Radiant heat is felt directly, this is one advantage over small hot radiators that create high convectional currents warming the air before the occupants. Since the system has a low flow temperature (25 – 35 °C) it is ideally suited to being used with eco-friendly fully condensing boilers or alternative energy sources like a heat pump, solar, geothermal and heat recovery systems. Besides the thermal advantages there is the added benefit of reduced air movement. The result is reduced dust movement with constant humidity. From ceiling cooling in open plan offices to hospital surgery units and family homes for heating and cooling, there are no limitations to its future possibilities for the efficiencies of aquatherm black radiant heating and cooling from one system. Free from draughts, noiseless, no dust, a high degree of response time, even temperature distribution and significant energy savings in both heating and cooling due to the temperature range required over existing systems such as radiators, heat pumps etc. 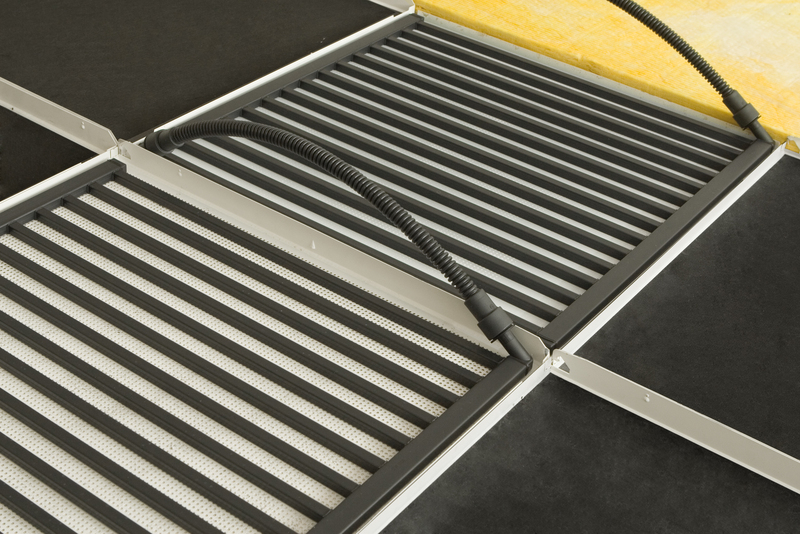 aquatherm black is made from environmentally friendly fusiolen® PP-R. All connections in the hydraunic panel system are fusion welded.